150 Make-Ahead Dinners, Desserts, and More! Make-ahead recipes you can freeze and then pop in your slow cooker for the easiest dinners ever. Imagine not having to think about what to make for dinner, not having to stop at the store for supplies, not even having to wake up extra early to prep everything for the slow cooker. . . . Doesn’t that sound nice? If you can set aside one afternoon a month to prep meals, this dream could be your reality. In this book you’ll find twelve recipes for every month, plus a handful of extras, complete with a shopping list to make your job even simpler. For twelve dinners every month, all you’ll have to do is grab the meal from the freezer, pour it in the slow cooker, and hit “start.” What about the other nights? Don’t worry, you’ll have leftovers! Or you can prep some extra recipes from one of the other months. 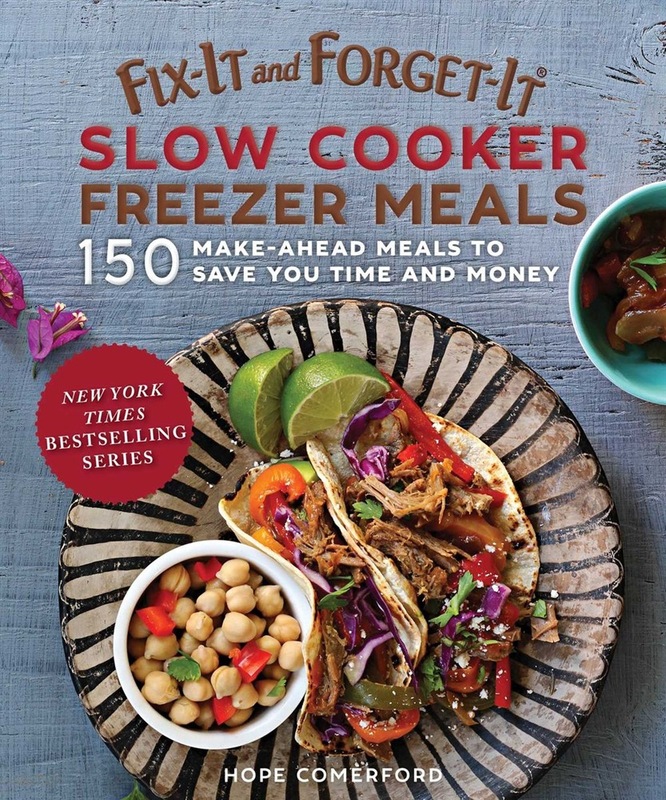 Hope Comerford has selected the best freezer meals from home cooks across the country and can’t wait to share them with you. She’ll also give you tips on how to store the meals in your freezer and what size slow cooker to purchase, and suggestions for easy prep and cleanup. Find delicious, family-friendly recipes such as: Honey Baked Chicken Cider Beef Stew White Bean Chili Maple-Glazed Turkey Breast Harvest Pot Roast And many more! 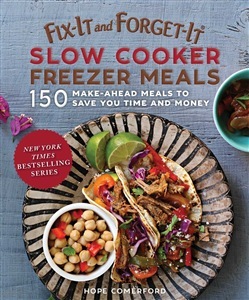 Acquista Fix-It and Forget-It Slow Cooker Freezer Meals in Epub: dopo aver letto l’ebook Fix-It and Forget-It Slow Cooker Freezer Meals di Hope Comerford ti invitiamo a lasciarci una Recensione qui sotto: sarà utile agli utenti che non abbiano ancora letto questo libro e che vogliano avere delle opinioni altrui. L’opinione su di un libro è molto soggettiva e per questo leggere eventuali recensioni negative non ci dovrà frenare dall’acquisto, anzi dovrà spingerci ad acquistare il libro in fretta per poter dire la nostra ed eventualmente smentire quanto commentato da altri, contribuendo ad arricchire più possibile i commenti e dare sempre più spunti di confronto al pubblico online.